What a lovely surprise ! 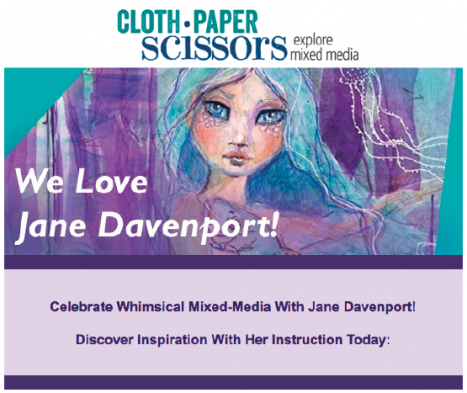 This email from Cloth Paper Scissors titled “Jane Davenport’s Greatest Wish” has a little drawing lesson from me and why I think drawing is so good for you! AND I have my own Section in the Cloth Paper Scissors store now! HAve you seen the new look magazine?